The first clue that there’s something unusual about Amazon’s store of the future hits you right at the front door. It feels as if you are entering a subway station. A row of gates guard the entrance to the store, known as Amazon Go, allowing in only people with the store’s smartphone app. Walmart recently applied for a patent for a system that allows customers to preview food items selected for their online orders through pictures, according to CB Insights. The system, which is referred to as a “Fresh Online Experience” in the patent, would use 3D scanning to show online shoppers in-store items. The system gives customers the ability to choose the exact items that will be put into their orders. After a customer places an order, a store associate uses a 3D scanner to scan items they pull from Walmart’s inventory. The visual is uploaded to a platform by the store associate and sent to the customer, who then receives a notification to review the item. Customers can reject the item selected, but are limited to a fixed number of attempts, after which they’re prompted to select from one of the previous options that had been sent to them. Once the customer approves an item, it receives an “edible watermark” and is then packed for delivery. Walmart may automate the scanning portion of the system to increase efficiency. This may help Walmart compete better with Amazon in online grocery. Amazon currently leads in online grocery, a segment which generated $2 billion in revenue in 2017 for the e-commerce titan. However, most of its sales came from packaged food products, and it garners very little sales from fresh foods. Most customers prefer to pick out their groceries, especially when it comes to fresh products. As such, Walmart’s new system may help it gain an edge over Amazon, especially if these 3D visuals can reassure customers that they’ll be able to pick out quality produce without having to physically see them. Amazon is estimated to have 18% of the US online grocery market, which is double the second place share held by Walmart. Establishing market share now is important because it will make it easier to capitalize on the potentially immense value of the US online grocery industry in the future: It is projected to be worth as much $100 billion by 2025. Most of Amazon’s US online grocery sales came from packaged food products. The e-commerce titan’s top five US online grocery categories in 2017 were packaged products, like cold beverages and snack foods, One Click Retail estimates. Each of these categories is estimated to have grown over 30% YoY to bring in a combined $1.1 billion. However, Amazon likely isn’t satisfied with the performance of its nonpackaged grocery categories, like fresh fruit and dairy. Sales in these categories pale in comparison to those of packaged goods. In fact, dairy, Amazon’s top selling fresh product category online in the US, brought in just $85 million in 2017. The discrepancy is likely due to consumers’ interest in picking out their own fresh products. The acquisition of Whole Foods may already be making a difference for Amazon in grocery. One Click Retail’s data suggests that the acquisition gave AmazonFresh a boost in sales, even before Whole Foods products became available through the service. This could mean that consumers are increasingly thinking of Amazon as a grocery destination because of Whole Foods, and given Whole Foods’ reputation for organic and local products, consumers may become more open to buying fresh products through Amazon. Among the many criticisms leveled against grocery stores that rely on slotting allowances and other supplier fees to operate their businesses is that these charges result in higher prices to consumers and a degree of sameness — a sort of dumbing down of merchandising creativity — across locations. That’s what makes a recent Washington Post article, which suggests Whole Foods is moving to a similar system to operate its business, a head scratcher. One of the concerns with slotting allowances is that they effectively price smaller and sometimes more innovative brands off store shelves, ceding more real estate to me-too nationals. In an online discussion last week, many members of the RetailWire BrainTrust were concerned about the route Whole Foods is taking. According to an email obtained by the Post, grocery vendors that sell more than $300,000 annually to the chain will need to discount their products by three percent to pay for the program. Health and beauty suppliers at the same level will be required to drop theirs by five percent. 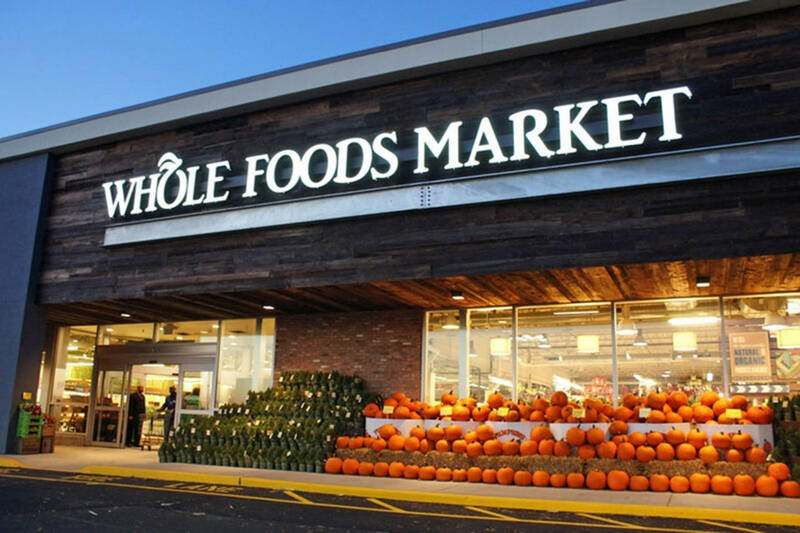 Whole Foods will also mandate that local suppliers pay $110 per location to have the retailer’s in-house broker, Daymon Associates, run a four-hour demo in-store, while national vendors will pay $165. Kathleen Overman, a former employee of Whole Foods, who founded a company that hosts product demonstrations at the chain’s stores, praised the grocer for its history of “creating a community of local food producers and brands” in an interview with the paper. “Our job has always been to advocate for those small businesses, but with these new rules, companies like mine will no longer be useful,” she said. RetailWire’s BrainTrust, however, sees an unintended benefit for small brands if Whole Foods continues in this direction. “Pay-to-play will only push those regional and local suppliers to find alternative ways of selling their product, like direct-to-consumer e-commerce which will not be beneficial for retailers in the future,” said Dave Nixon, data analytics solutions executive at Teradata. And some, such as Phil Chang, retail influencer at Hubba, said that there’s a historical precedent for what happens to retailers that squeeze their vendors. With new options and conveniences, there’s never been a better time for shoppers. As for workers — well, not always. The retail industry is being radically reshaped by technology, and nobody feels that disruption more starkly than 16 million American shelf stockers, salespeople, cashiers and other workers. The shifts are driven, like much in retail, by the Amazon effect — the explosion of online shopping and the related changes in consumer behavior and preferences. 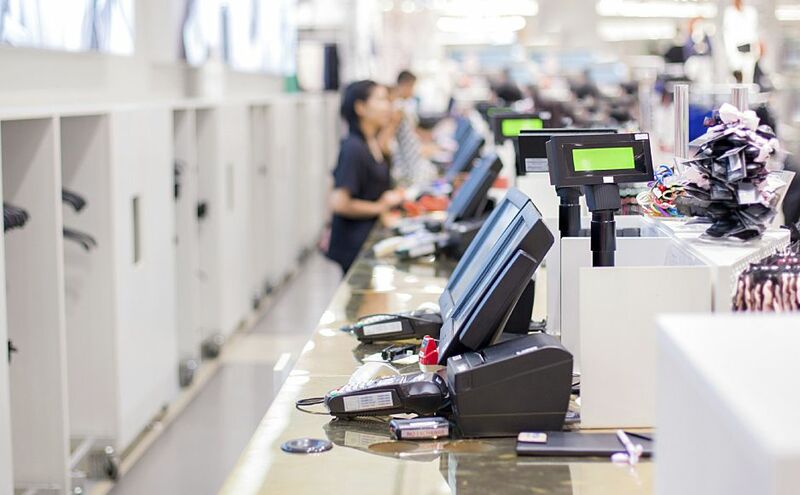 As mundane tasks such as checkout and inventory are automated, employees are trying to deliver the kind of customer service the internet can’t match. So a Best Buy employee who used to sell electronics in the store is dispatched to customers’ homes to help them choose just the right products. A Wal-Mart worker dashes in and out of the grocery aisles, hand-picks products for online shoppers and brings them to people’s cars. Yet even as responsibilities change — and in many cases, expand — the average growth in pay for retail workers isn’t keeping pace with the rest of the economy. Some companies say that in the long run the transformation could mean fewer retail workers, though they may be better paid. But while some workers feel more satisfied, others find their jobs a lot less fun. “You tell them everything, and then they look at you and say, ‘You know what? I think I will get it online,’” Moses said. Moses has seen her commission rate rise to 6%, from 0.5%, but her hourly wage dropped from $19 to as low as $10 before it came back up to $14. Depending more on commissions means her income fluctuates — and that she’s competing with her colleagues for each sale. The same could be said for the retailing industry overall. In 2017, 66,500 U.S. retail jobs disappeared (not taking into account jobs added in areas such as distribution and call centers). In the last decade, about 1 in 7 jobs have vanished in the hardest-hit sectors such as clothing and consumer electronics, said Frank Badillo, director of research at MacroSavvy LLC. Though department stores have suffered the most, smaller businesses also have struggled to compete with online sellers. Many of the survivors are rushing to adapt. Of the retail jobs that remain, over the next decade as many as 60% either will be new kinds of roles or will involve revised duties, said Craig Rowley, senior client partner at Korn Ferry Hay Group, a human resources advisory firm. He estimated the number is about 10% now. How fast retail jobs will change and what they’ll look like depends on three factors, Rowley said: the pace at which online shopping advances; the speed at which robotics and other technology progress; and shifts in the minimum wage. Some retail workers at the vanguard of the changes — such as Laila Ummelaila, a personal grocery shopper at a Wal-Mart store in Old Bridge, N.J. — speak glowingly of their new responsibilities. Wal-Mart Stores Inc., the nation’s largest private employer, has scrutinized every job in its stores as it looks to leverage its more than 4,000 U.S. locations against Amazon.com Inc.’s internet dominance. Wal-Mart now has 18,000 personal shoppers who fill online orders from store shelves, and 17,000 checkout hosts whose responsibilities are more extensive than the greeters of old, including keeping the area clean and making sure registers move efficiently. The company has also shifted workers from backroom clerical jobs and eliminated some overnight stocker positions in favor of more daytime sales help. The customers like the changes, company officials say, pointing to more than three years of sales growth at its established U.S. stores — a contrast with other, suffering retailers. Best Buy Co., meanwhile, has begun a free service in key markets in which salespeople will sit with customers in their own homes and make recommendations on setting up a home office or designing a home theater system. Best Buy said shoppers spend more with a home visit than they do at the stores. The project follows Amazon, which reportedly has been testing a program that sends employees to shoppers’ houses for free “smart home” recommendations. Frederick, who is spending close to $20,000 on the equipment, describes himself as “old school” and says he needed a lot of help. He said it was worthwhile. Schuler declined to give specifics but said he is well compensated. Ummelaila said her pay went up to nearly $12 per hour, from $10, when she became a personal shopper. Target Corp. credits its strategy of assigning dedicated sales staff in areas such as clothing, consumer electronics and beauty for helping increase sales, and it says having visual merchandisers create vignettes like shoppers would see in specialty stores inspires people to buy. “You are making an outfit and telling a story on each rack,” said Crystal Lawrence, who works at a Target store in Brooklyn, N.Y. She said she likes the variety in her new job, and Target says it plans to keep paying higher wages for those specialized roles. But a survey of nearly 300 retail workers — conducted by the Center for Frontline Retail and Community Development Project at the Urban Justice Center — found that of those workers whose job responsibilities have changed, more than 40% said they hadn’t received corresponding pay increases. Wages for hourly retail workers have risen less than 9% since 1990, compared with 18% for private-sector workers overall. There has been some progress recently; some of the biggest retailers, such as Wal-Mart and Target, have made moves to increase pay in the face of low unemployment and competition for workers. Mandel sees hope in technology, which he says historically has created more and better-paying jobs than it has eliminated. The National Retail Federation trade group points to government data showing that even in large supermarket chains where self-checkout has become standard, the number of employees per store has held steady over the 15 years through 2014. And the demand for grocery cashiers rose in the last few years, said Burning Glass Technologies, a company that analyzes labor market data. McDonald’s says the self-serve kiosks it has been rolling out won’t result in mass layoffs, but will mean that some cashiers shift roles to accommodate changes such as offering table service. Amazon is testing a grocery store in Seattle without cashiers, using cameras and shelf sensors to keep track of the items that shoppers grab and charge them. Eatsa, an automat-style restaurant in San Francisco, lacks cashiers as well — diners order at kiosks, and workers prepare the food behind an opaque wall, with virtually no interaction between them. A labor group representing 1.3 million grocery and food workers is trying to combat automation by highlighting that workers’ specialized skills — such as the care they take in icing a rose on a wedding cake, or arranging flowers, or the ability of human workers to recognize spoiled food — provide a benefit to shoppers. “Separating progress for the consumer, for the worker, for the economy versus the stockholders — those are completely different things,” said Erikka Knuti, a spokeswoman for the United Food and Commercial Workers International Union. Wal-Mart Chief Executive Doug McMillon foresees fewer sales associates at his stores, but says they’ll be better paid and better trained. Wal-Mart has trained 225,000 supervisors and managers on topics such as new apps and better customer service. It says managers who go through the academies have better retention rates than those who do not. Workers who report to those managers stay longer. And entry-level workers who complete a new training program are more likely to remain. It’s a shift retailers may have to speed up. Government figures show that in 2016, the rate of retail workers quitting their jobs was at its highest since 2007. “It’s gone down. One person is doing three jobs. And you can’t move up,” said Duran, 38, of Queens, N.Y. Confronting changing shopper habits and increased competition from online sellers, retailers are creating new jobs at their stores and redefining employee duties. Here’s a look at some new positions and shifting roles at major retailers. • Personal shoppers: These workers fill online grocery orders from store shelves, in some cases finding one product every 30 seconds, and take the items to shoppers’ cars at the curb. • Checkout hosts: Not just greeters, they’re responsible for overseeing the self-checkout and scan-and-go areas and helping customers navigate them. They also keep the checkout area tidy, judge if more registers need to be opened, and help customers with questions as they come and go. • Visual merchandisers: They create the kinds of fashion or home design vignettes that shoppers may be more used to seeing in specialty stores than discount chains. Target says this inspires shoppers to buy more. • Dedicated sales associates: These employees work only in a particular area, such as clothing, electronics, beauty and grocery, rather than shifting from department to department. They get extra training on the brands in their areas; their focus is helping shoppers. • In-home advisors: They visit shoppers’ homes and recommend products suitable for their spaces to help them create a home office or set up a home theater. The service is free. • Personal stylists: Some stylists now pull options for shoppers ahead of time based on their answers to an online questionnaire about price, favorite brands, style and sizes, and make refinements based on text conversations. That’s similar to the styling services offered by online companies such as Stitch Fix. But instead of receiving clothes to try on at home and possibly send back, shoppers then work with stylists in person, at the store. Bloomingdale’s is testing the service at its Manhattan SoHo store and says the online component offers speedier service. Neiman Marcus and Saks Fifth Avenue also have personal stylists, as well as an online component. You don’t hear any complaints about food deserts in the parking lots of Grocery Outlet stores. Originally a reseller of surplus military rations, Grocery Outlet is currently a chain of 270 privately owned supermarkets in five western states plus Pennsylvania. Founded by James Read in 1946 as Cannery Sales, and still managed today by the same family, the company has been owned since 2014 by a private equity fund, Hellman & Friedman. It’s what’s known in the industry as an “extreme value” retailer. Grocery Outlet buys excess inventory (discounted, overstock, closeout) from reputable, national consumer package goods companies (Kellogg’s, General Mills, Oscar Mayer, Kraft, etc.) and passes the often-substantial savings along to its customers. The news today is that Grocery Outlet is expanding. Not the individual footprint of each store; that’s still in the 20,000-foot-range, roughly half a typical supermarket (more like an Aldi), but the number of stores. Neighborhoods in the Los Angeles area have been struggling with the lack of supermarkets and affordable fresh food for years. An article in LA Weekly pointed out, citing U.S Census data, that South Los Angeles had only 46 full-service grocery stores in 2015, equivalent to just 0.57 stores per every 10,000 people. 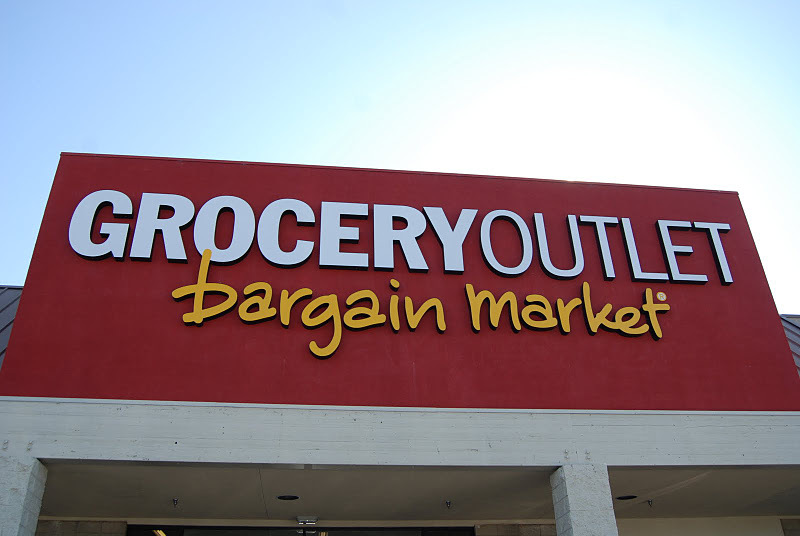 Grocery Outlet recruits entrepreneurial talent and trains them to become independent store operators without having to invest in a new store or refurbish an existing retail location, let alone purchase inventory. Annual sales at Grocery Outlet climbed from $500 million in 2001 to almost $2 billion in 2016. Walmart is expanding its test of a new technology that enables shoppers to scan and pay for their items without checkout lanes, registers, or cashiers. 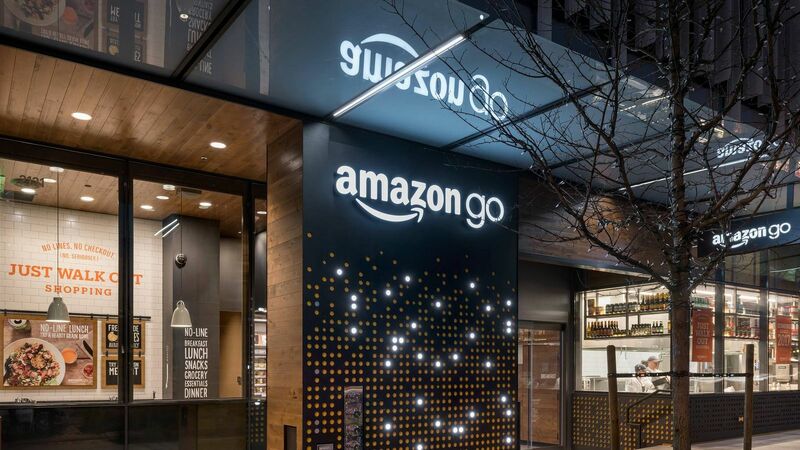 The retailer is rolling out the service, called “Scan & Go,” to 100 additional stores by the end of January, in addition to the 25 that already offer the service. Here’s how it works: shoppers download Walmart’s “Scan & Go” app, then scan the barcodes of the items they wish to purchase. Once they are finished shopping, they click a button to pay for their goods and show their digital receipt to a store greeter on their way out the door. Kroger has also been working on cashier-less technology. 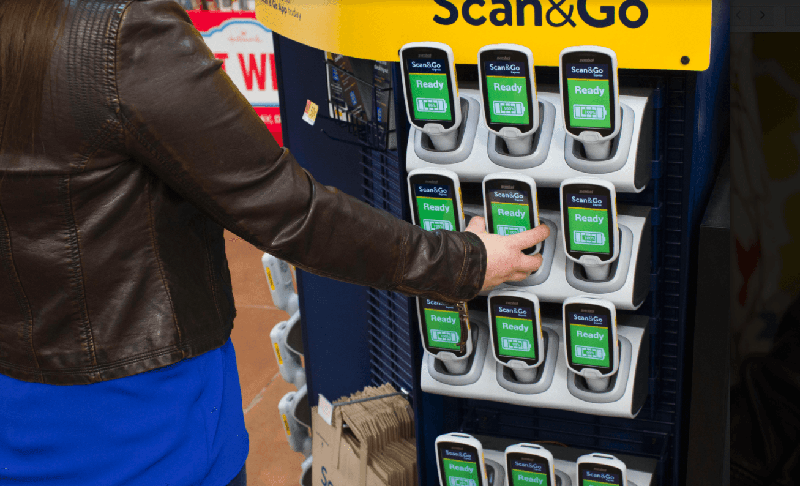 This year, the grocery chain is rolling out its own “Scan & Go” service — which Kroger calls “Scan, Bag, Go” to 400 stores. This is Walmart’s second attempt at Scan & Go technology. Walmart first launched the technology in stores three years ago, but it never caught on. 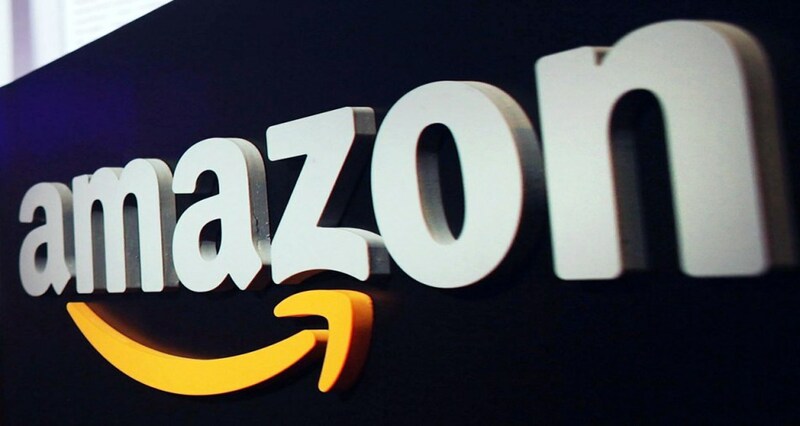 Amazon could be about to make some big changes to its grocery business, which currently consists of two services: AmazonFresh and Prime Now. AmazonFresh is the company’s oldest grocery delivery service, a traditional online option with a $15-a-month membership cost and reserved delivery times. Prime Now, on the other hand, is Amazon’s two-hour delivery offering, which comes free with Prime. On top of a more limited selection of food, it also offers a small selection of products like Echo devices and seasonal items. Now, changes at Amazon offer a glimpse at how these two services may be coming together in meaningful ways.In November, Amazon stopped its Fresh delivery service in parts of New York, New Jersey, Pennsylvania, Delaware, Maryland and California, and it has yet to comment on why it did so. At the same time, Amazon is opening new Prime Now hubs in major cities. The service is now available in more than 30 cities and towns, and its food selection has been greatly expanded as it incorporates Whole Foods’ assortment of products. At the time of this writing, Prime Now offers a selection of more than 1,000 Whole Foods items and more than 5,500 grocery food offerings in Manhattan. In contrast, AmazonFresh offers about 13,500 grocery items for delivery to Manhattan. The Amazon executive in charge of Prime Now, VP Stephenie Landry, has also been tapped to lead AmazonFresh. Landy also recently took the reigns for Amazon Restaurants — a prepared-food-delivery program that’s partnered with local restaurants — which is hosted on the same Amazon websiteas Prime Now. That’s prompted speculation that Prime Now and AmazonFresh may be joining forces. A Morgan Stanley survey of Prime members shows that Prime Now grocery orders are up. The bank wrote in a note to investors that 48% of people using Prime Now are ordering grocery items with it — more than they are ordering more traditional e-commerce offerings. The survey was done prior to the Whole Foods acquisition’s close and before its products were put on Amazon, so it’s possible that adoption has increased even more. It’s tempting to look at Prime Now as Amazon’s vehicle for dominating grocery — an area where it’s struggled previously. Combining Whole Foods’ nationwide grocery footprint and selection with Prime Now’s delivery logistics to provide free, two-hour delivery could prove an unbeatable combination. Landry told Recode that Prime Now and AmazonFresh won’t merge — at least, not yet. “I actually think that we’re going to have lots of different ways to get food to customers. But behind the scenes it makes sense to develop as many efficiencies as possible,” she said. An Amazon spokeswoman told Business Insider that the company does not comment on speculation. The future of healthy fast food is frozen. 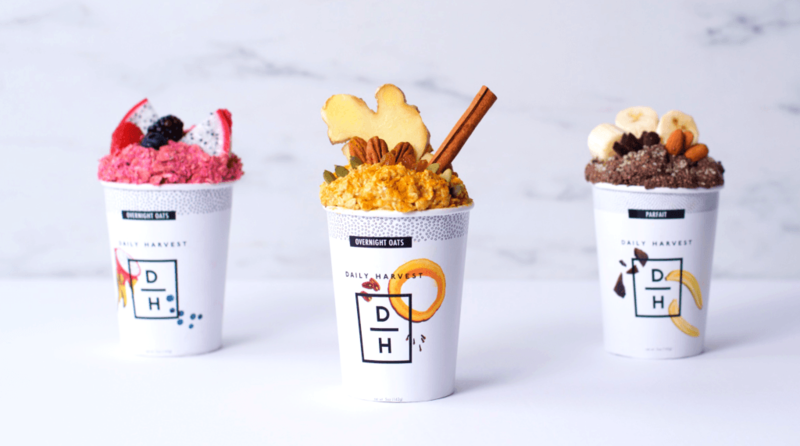 Celebrities like Serena Williams and Gwyneth Paltrow are investing big money in Daily Harvest, a plant-based frozen meal delivery service with pre-made smoothies, chia parfaits, soups and grain bowls loaded with superfoods and nutrients from whole fruits and veggies. Its out to change the stigma attached to the hyper processed frozen food aisle. The female-led company received $43 million in a third round of funding led by venture capital firms and olympic athlete Shaun White, celebrity chef Bobby Flay and actress Haylie Duff this month that’s allowed it to expanded its product line to include 33 meals ready to eat instantly. Daily Harvest items seem to be nourishing the need for healthy fast food where there’s long been a gap in the frozen food space with pizza, chicken nuggets, and standalone veggies like chopped spinach. The female-led company started out with just smoothies in 2015, and has since expanded new savory grain bowls made with cauliflower and rice (a lighter riff on Italian risotto), and a zesty quinoa chipotle burrito bowl out in January. Its acquired more than 100,000 subscribers nationwide. Drori, 35, thought up the idea for the business based on her own dilemma of wanting to eat healthy, but having no time to meal prep when she was working in sales and marketing for Gilt Groupe. She would freeze fruits and veggies herself and make smoothies to eat on the go. The life hack eventually turned into a business plan that prompted her to quit her job and rent out a commercial kitchen in Long Island City, Queens where she started delivering her fruit-filled smoothie cups to friends and family. Since then, she enlisted Michelin-trained chef Jessica Young and a nutritionist to help think up creative and tasty recipes, and hired a team for more than 30 ladies to help run the brand which ships nationwide. Frozen food is heating up the market estimated to reach $360.36 billion by 2024. And according to the Mintel Global Food and Drink Trends 2017 report, there was a 257 percent increase in the number of vegan food and beverage launches in 2016, compared to five years ago, and many brands have attempted to break into the healthy frozen food space. Organic brands like Annie’s Homegrown has a line of pizza bites with no artificial ingredients, and made mac ‘n’ cheese healthyish before being bought by General Mills. Kashi boasts a fiber-rich line of frozen waffles; and plant-based brand Amy’s has meals you can defrost for breakfast, lunch and dinner from apple toaster pops to a black bean burritos and vegetable lasagna, but none deliver. Daily Harvest superfoodies can opt to order six to 24 cups weekly at $7.99 each, or monthly (approximately 24 cups) for $6.99. You can choose a combination any snack or meal, like the immunity-boosting tomato minestrone packed with veggies like zucchini, tomatoes and chickpeas; a cacao and avocado pudding said to taste like chocolate and loaded with pea protein; or sundaes like chocolate brownie batter made with cocoa, black beans, hemp protein and coconut. Each require minimal prepping effort — just add water and heat soups, smoothies need a liquid base like milk added before being tossed into a blender; and grain bowls can simply be microwaved or sautéed on the stove. “Each is meant to be a nutritional powerhouse that’s a balance of fiber, healthy fats and all the things you really need to sustain yourself so you don’t get a sugar high and crash,” says Drori. The frozen fast food has attracted a handful of celebrity investors. Tennis ace Williams, who expressed interest in the brand earlier this year, personally called Drori. “I totally advocate for freezing fruits and vegetables. What happens is they’re picked at the height of ripeness and flash frozen so they preserve the nutrients better as opposed to sitting in trucks or on the supermarket shelf,” says registered dietitian and nutritionist Lisa Young. Drori predicts the hot new superfood of the new year will be the unassuming ingredient pine pollen, a nutritive adaptogen tonic powder collected from pine trees and consumed as a dietary supplement. It’s said to help the body cope with stress. “You can put it in anything. It has barely any taste and it’s just really wonderful,” she says. Here’s how it works: shoppers scan the barcodes of items they wish to purchase using a handheld scanner, provided by Kroger, or the chain’s “Scan, Bag, Go” app on any smartphone. The technology will keep a running tab of shoppers’ total order and offer applicable coupons. It will also eventually alert customers when they walk past an item on their shopping list. When customers are finished shopping, they can visit a self-checkout register to pay for their order. Soon, shoppers will be able to skip that step and provide payment through the app instead, the company said. That means they won’t have to stand in line or visit a register at any point during their shopping trip. 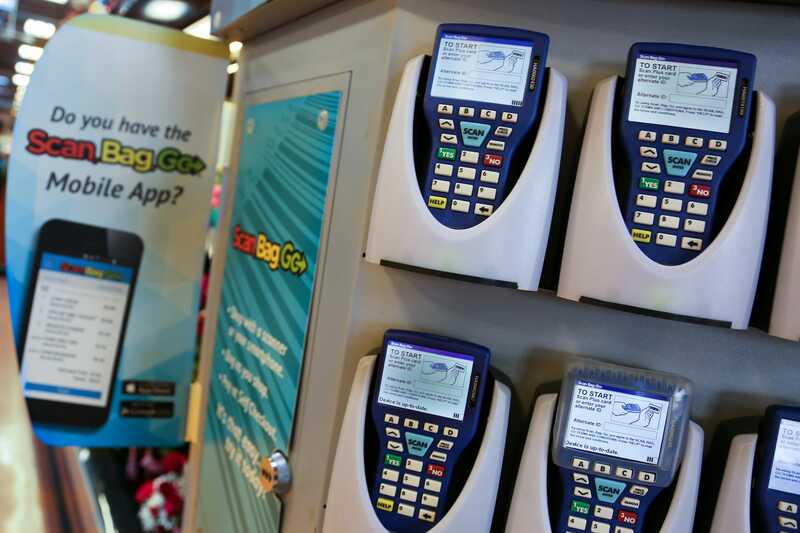 Kroger will be the first to offer the technology to a mass market, however, when it expands the “Scan, Bag, Go” program to 400 of its more than 2,700 stores in 2018.